Nicknamed the “Frying Pan of the World” for being so hot that on some days raindrops will evaporate before they hit the ground. Country Information: Niger, also known as the Republic of Niger is named after the Niger river. About 22 million people live here and the capital is Niamey. Over ninety percent of the population is Sunni Islam. The official language is French. The time zone is 5 hours ahead of EST. Travelers should be aware to dress for warm weather and wear lots of sunscreen! Niger is one of the hottest countries in the world, and is nicknamed the “Frying Pan of the World” for being so hot that on some days raindrops will evaporate before they hit the ground. This is one of those countries that I was apprehensive about visiting last year, particularly after four Rangers were killed here. However, felt completely safe here and it’s evident that the capital of Niamey (pronounced Nee – Am – Ay) is secure. 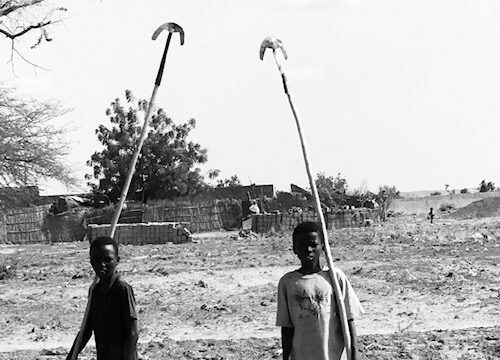 In Chad and CAR soldiers roam the streets. Not so in Niger. However, there are American troops here, I saw them on my flight and in my hotel. If not actual troops, they’re likely training the military to combat Al Queda, ISIL and Boko Haram. Niger has the highest birth rate in the world, with the average woman having a staggering seven children. Yes, seven is the average. I heard of one woman who had 18 children! It’s a complicated cultural and religious norm, but one that is causing significant hardship to these people into the country. So, why do women have so many children? Because they feel that children will ease their hardship by having an extra body to share the heavy work load. The work is mostly agriculture related – plowing the field, planting seeds, picking crops, curing water, and selling food. However, there’s a consequence to this astronomically high birth rate: when things go wrong, children starve. The malnutrition rates are very high here. And the government does little about it. The NGOs that serve the poor are what keeps this nation fed. I had the chance to visit PlumpiNut, which makes a high calorie, fortified paste that malnourished children eat for four weeks. Plumpi (made of peanuts, sugar, oil and vitamins) is a bandaid, with the long-term solution being family planning and education. 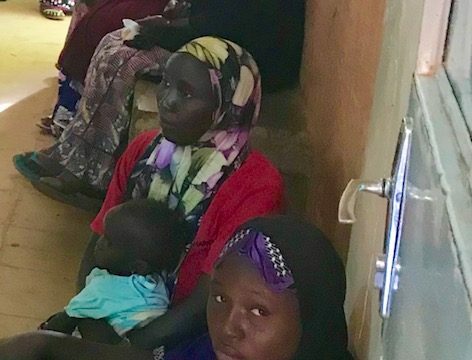 At a clinic in the middle of Niamey, social workers weighed the children, measured their arms, and then dispensed the packets for the children to eat. The day I was at the clinic, there must’ve been 150 moms and children, and this was just a small clinic in one neighborhood of this sprawling city. What is mind-numbing to me is the sheer number of malnourished children in the capital city. Imagine how desperate things must be in the remote villages. 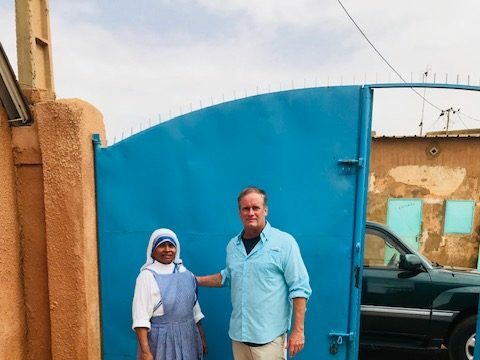 I was fortunate to visit the SAGA missionary of charity, run by the sisters of Mother Theresa. This visit was sobering. The sisters take in people from distant villages suffering from skin ulcers. Men, women and children were there nursing their open wounds. 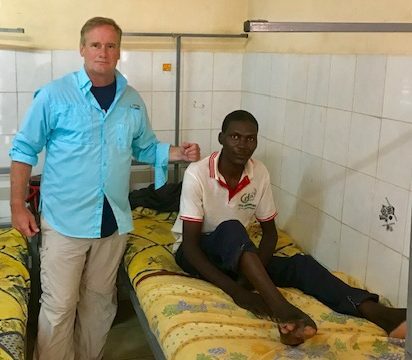 One man had stepped on a poison thorn, went to the doctor, didn’t have money to pay for medication and then his foot became disfigured. Traveled for two hours outside of the capital city, to Koure to visit the desert giraffe herds here (peralta giraffe species). As the temperatures get to 45°C here, these giraffes have a lighter color and drink like camels (every 3 days). 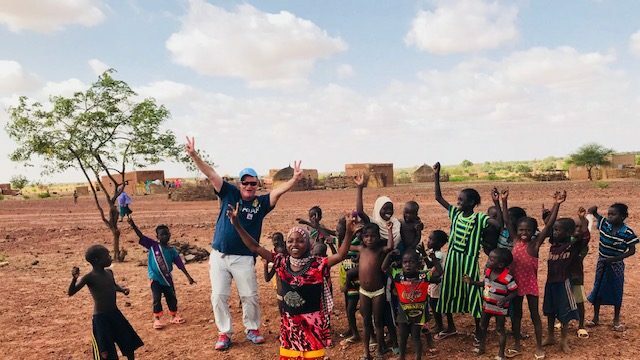 On the way home I took pictures with some children from the Zarma ethnic group, we laughed and danced together! The following day I tried some camel milk and learned how it is produced. The milk was very light tasting, like cows milk, but without the aftertaste. The cheese made from this milk had been freshly produced from goats milk that morning. I’ve violated my rules of eating and drinking foreign food! I stayed at the Soluxe hotel in Niger which was the best in the city. The hotel had a lot of security outside, and next door was a police facility, so no one was messing around with this place! The rooms were nice, and the restaurant was adequate. This is a Chinese hotel so parts of it are cheap and odd. But overall it was a great choice! 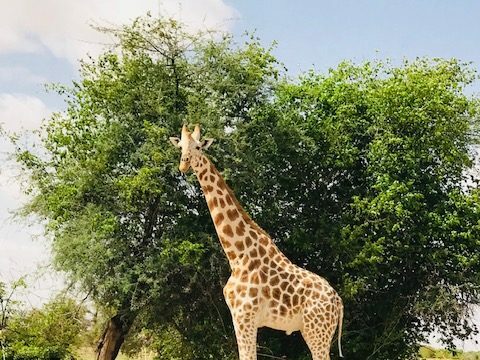 Peralta giraffe species in Niger – notice light color!